The House of Representatives passed H.R. 1 (Full Text PDF) today. While the bill contains many (many!) sections of interest to Long Beach includes funding for first responders, of particular concern to our local economy is Title V: ‘Strengthening The Security of Cargo Containers’. Unless substantially revised, Title V will go into effect three years after signing for countries of origin which shipped more than 75,000 TEUs in 2005, and in five years for all other countries. 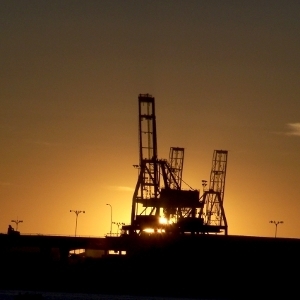 The Port of Long Beach imported 3,346,054 TEUs in 2005; the Port of Los Angeles imported 3,881,326 TEUs in 2005. See U.S. House Digest for a summary of other components of H.R. 1.